The Transportation Department at Halifax Regional Municipality has been working on a Strategic Road Safety Framework (SRSF), which was passed at Halifax Regional Council on July 17, 2018. Originally called the Strategic Road Safety Plan, the document was renamed to reflect the fact that it is not a complete plan, but rather a framework from which to move forward. The gold standard for road safety plans is to adopt “Vision Zero”, which means that a municipality’s vision is to have zero deaths or serious injuries on their roads. In order to achieve vision zero, the main emphasis of the plan needs to be on designing streets to be safe, while acknowledging that humans will make errors. If the system is designed to protect vulnerable road users, like people walking, biking or using a wheelchair, then that is when we will start to see a decrease in road fatalities and serious injuries. Halifax’s SRSF acknowledges the need for safety to be built into the design of our roadways, but it also places an emphasis on education and enforcement for making our roads safer. The SRSF includes Vision Zero by the year 2038, allowing twenty years for the framework to be implemented. We would like to see immediate results, but of course, with the need to significantly redesign our road network to reduce points of conflict, it will take time. It remains to be seen how the SRSF will impact the safety of Haligonians in the short term, but HRM staff and council have committed to making the roads safer in the long term. The SRSF emphasises “three Es” of road safety; engineering, enforcement, and education. However, we argue that there are two “Es” missing: equity and engagement. The SRSF can be enhanced by applying an equity lens. For example, we know that in Halifax (and many other cities) people of colour are disproportionately targeted by law enforcement. Therefore, if enforcement is one of the main tools being used for making our streets safer, certain groups of people in our communities may be disproportionately burdened by that enforcement. Stakeholders are expected to be partners in implementing the SRSF but most of the stakeholders who will be invited to be involved in implementation are other government services or departments. The ongoing work of community stakeholders in making our streets safer is not adequately acknowledged or made use of in the framework. Stakeholders like the Halifax Cycling Coalition want to be involved but so far there has not been an opportunity to get more engaged with the SRSF. We hope to see HRM engage more with stakeholder organizations and the public as the SRSF is implemented. Engagement relates to HRM’s use of “education” for making roads safer, but it goes a step further than transferring knowledge from the municipal government to citizens. Engagement would include a two-way discussion so that citizens can provide information about lived experiences back to HRM. 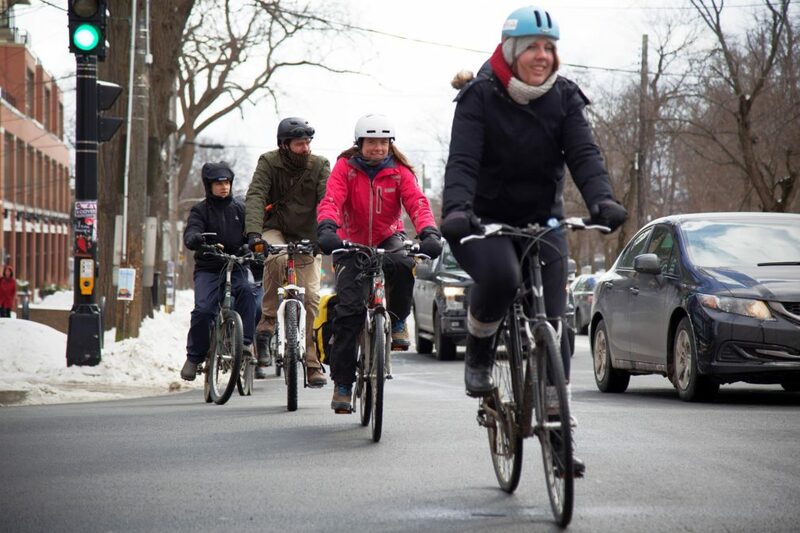 The Halifax Cycling Coalition applauds the Halifax Regional Municipality for setting a Vision Zero. One of our main goals is for streets to be safe and comfortable for all road users. As the Framework is implemented, we hope that stakeholders and the public are engaged in the process of creating a safer city. We urge HRM to adopt an equity lens when considering how to make our streets safer for everyone. We need to consider how a new policy or program will impact the most vulnerable members of our communities before rolling it out. The SRSF provides a good basis from which to move forward and deepen engagement to make the streets safer for everyone.